Get Educated. Are you ever curious about what we see when we examine your teeth? We want you to feel in control of your dental health, so we place a focus on education and communication. With access to new technology, we can put photos of your teeth onto our televisions and zoom into specific areas. We love to teach our patients both verbally and visually. Beverage Bar. Enjoy a delicious drink from our beverage bar during your visit. Early and Late Hours. We get it. You're busy living and it's tough to make time for the dentist. That's why we have convenient early and close hours - so that you can fit it all in. ​Our Community. We are your neighbors and friends. Building relationships and supporting our community is an important part of providing the best dental care to our patients. Studies say that only 1 out of 3 people see their dentist twice a year as recommended by the American Dental Association. The number one reason for not seeing the dentist every six months is cost, because over 4 in 10 Americans do not have dental insurance. 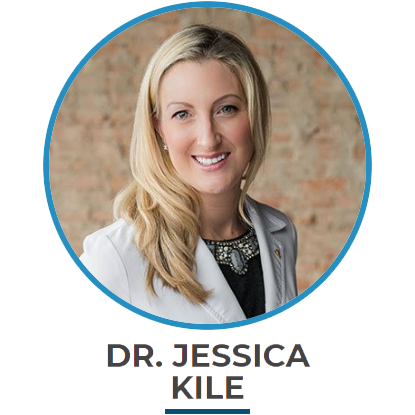 Dr. Kile has been practicing cosmetic & restorative dentistry in Champaign County since 2012. Dr. Kile lives locally in the community with her husband Jason and her three children Reagan (7), Avery (5), and Grant (3). 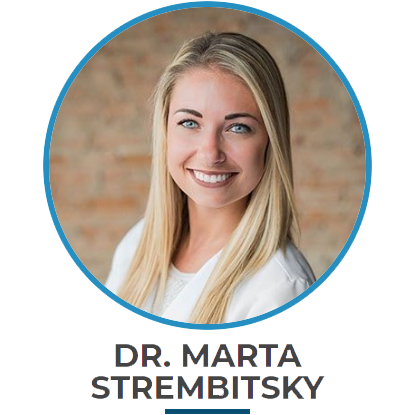 Twice a grad of The Ohio State University, earning both her undergraduate and Doctor of Dental Surgery degrees. 4 year letter winner and captain of The Ohio State University women’s rowing team. Graduated from the Dawson Academy, a prestigious dental academy that teaches the Concept of Complete Dentistry, which emphasizes a comprehensive, individualized approach to a patient’s dental care, beginning with prevention and early intervention. As a graduate of The Dawson Academy, Dr. Kile is one of only 10% of dentists in the country who practices the Concept of Complete Dentistry. Regularly completes 200+ hours of continuing education a year (15x the state requirement). Earned a reputation as a dentist who can provide beautiful and lasting results. 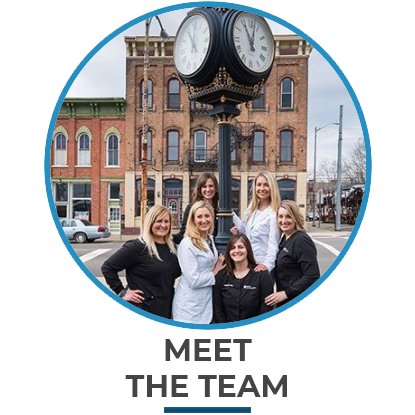 Loves the part of her work where she gets to build lasting relationships with her patients and families in her local community and make dentistry something they no longer fear. Specializes in very complex problems involving all of the teeth and function of their bite.